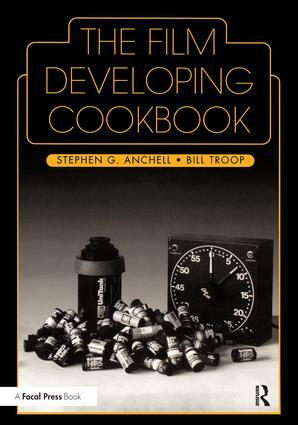 The Film Developing Cookbook is an up-to-date manual for photographic film development techniques. This book concentrates on films, their characteristics, and the developers each requires for maximum control of the resulting image. The Film Developing Cookbook specifically addresses the difficult subject of T-grain film development. It includes rarely found information on film development and the nature of film developers. This book will help photographers acquire a working knowledge of photographic chemistry that is relevant to black and white film developing and serve as a reference and refresher for photographers at all stages of their skill. This companion to The Darkroom Cookbook will help photographers become familiar with different developer formulas for achieving a wide range of pictorial effects, and teach them how to mix and use photographic solutions from scratch-even to create new ones. Many of the developing formulas and archival fixing solutions contained in The Film Developing Cookbook have never before been presented. The authors take bold and controversial stances on many widely accepted film developing dogmas. They tackle many of the widely accepted "myths" of film development. They reject the trend toward 'scientific evaluation' of films and developers in favor of the photographer developing a personal aesthetic without relying exclusively on densitometry or H&D curves. "…this is a very important publication for every fan of the darkroom. You'll learn huge amounts of stuff about photographic processes."